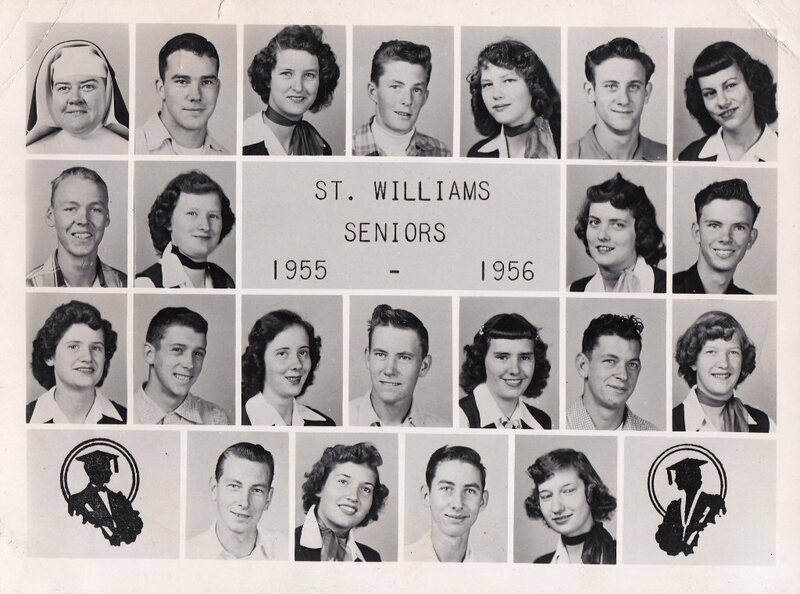 The St William High School senior class of 1950. Back Row – Pat Payne, Joe Roby, Mary E Rhinerson, Father Whalen, Betty Knott and Thomas Irvin Millay. Middle Row- Margaret Jane Lanham, Ethel Sanders and Marie Johnson. Front Row – Anna Ruth Cecil, Joyce Aull and Clara Rita Boteler. 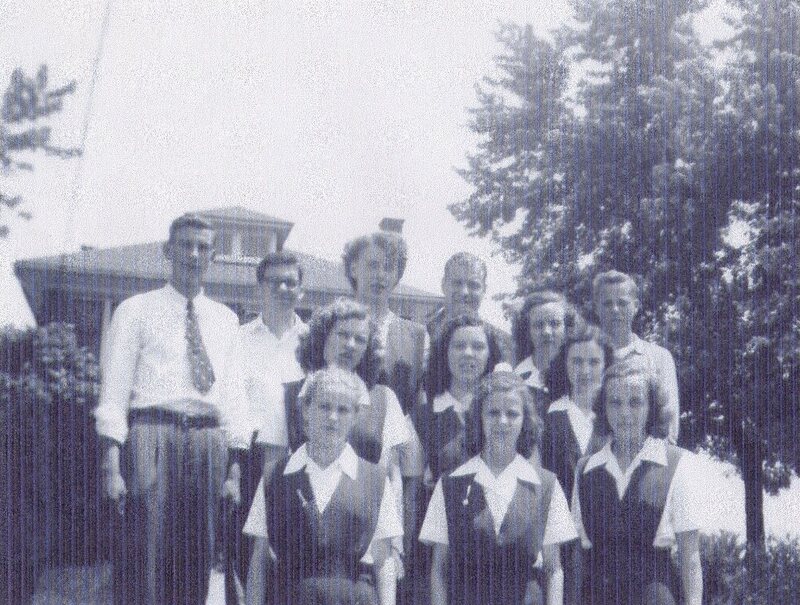 St William High School, Senior Class (1955 – 1956). Top row – Sr. Mary Carl, Merle Sanders, Elsie Mae Payne, Alan Howard, Betty Ann Lanham, Robert Lewis Millay, Margie Bowlds, 2nd. row – Wishie Payne, Carol Aull, Elsie Jean Bickett, Edward Lee Payne. 3rd. row – Lillie Ann Cecil, Bernard Wright, Theresa Byrne Knott, Joseph Leo Johnson, Helen Haynes, Clement “Clemie” Cecil, Mary Ann Howard, Bottom row – Leon Lanham, Alice Payne, Gerald Payne, Esther Hurm. 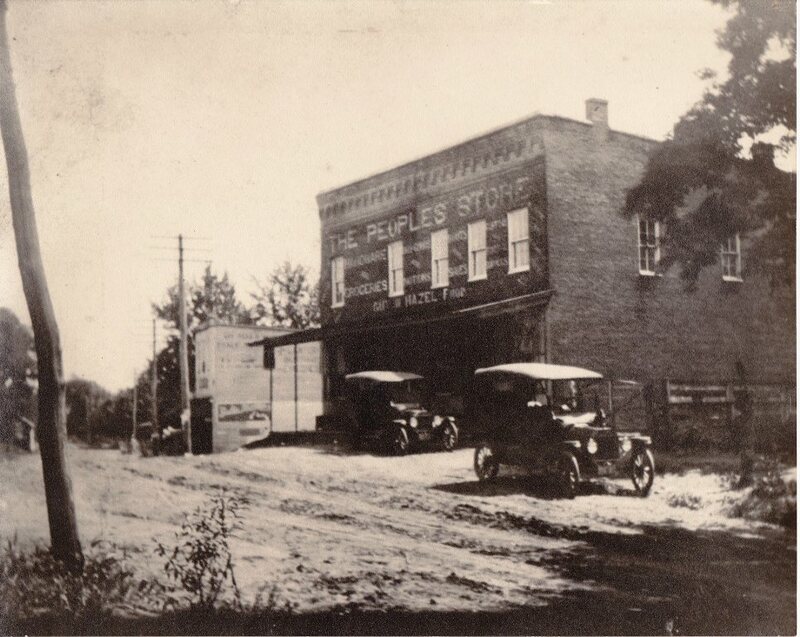 The Peoples Store (aka Guy Hazel’s Store, circa 1912). The Mary Carrico School currently stands where this store was located. In 1833, James Millay opened the first store in Knottsville on this site. In 1859, Joseph B. Aud and his brother Hilary T. Aud opened a store here called “J.B. Aud and Brother”. Sometime in the early 20th century this store passed to their nephew, Guy Hazel Sr. Eventually the store was sold to Bob Pence. This photo appears courtesy of Guy Hazel’s grandson, James W. “Jim” Hazel.